Although it might seem like a futuristic concept, the transition to using blockchain technology for many businesses has already begun. The term for this transition is blockchain disruption, and although this may sound negative it isn’t necessarily a bad thing. This relatively new technology has the potential to impact our daily lives far more than in the financial sense. People are now expecting a faster and more efficient service in a range of industries and businesses can often have a hard time keeping up with these demands. If customers are not getting the service they are expecting, it is likely they will just pack up and move on to something else that is faster, better, or more efficient. Currently, the biggest known use of blockchain technology is its connection with the cryptocurrency market, Bitcoin in particular. There are many industries where its use is pretty obvious, such as the healthcare industry. For a while now, hospitals and doctors have been in need of a more efficient and secure way to store records, although they would still need to be accessed by health professionals and those with authority to do so. Blockchain offers the perfect solution for this. 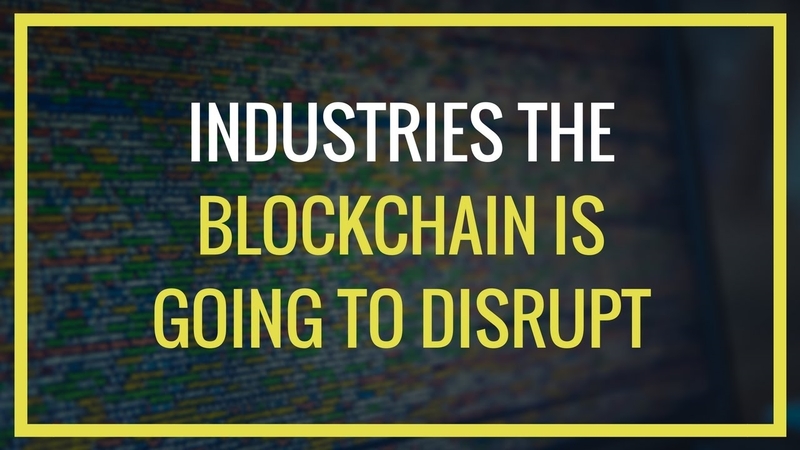 However, there are also many industries out there where the use of blockchain is not quite so obvious, yet could still be extremely helpful in the future. Let’s take a closer look at a few. Unfortunately, when we think of the voting system it is not quite as clean as many of us would like to believe. Election fraud is still strife in many nations. Although it is more common in developing countries, it is also present in the US and UK. Seeing that blockchain can record, store, and transfer data in a secure way, it is the logical next step for the election process. This will allow for the transparent counting of votes which cannot be tampered with in any ways. The research conducted by BitFortune.net shows that Sierra Leone is one of the first countries to adopt blockchain tech for public voting in 2018, and more countries are bound to follow suit in the future. Not only that, the use of blockchain technology may actually increase the number of people that vote. Purely because people will be able to vote online, in the comfort of their own home, rather than having to leave the house. There are already companies out there that are putting this process into action, such as Follow My Vote Inc, who are developing a software that allows people to vote either through their desktop or mobile devices. The fact that in the last few years there have been some newsworthy stories of the misuse of funds when it comes to charitable donations and other scandals, means that less people are inclined to give to charity. In fact, many people would argue that the reputation of charities at the moment is pretty low, as people simply don’t know where the money they donate is going. Surprisingly, blockchain may provide the perfect solution for this as it has the potential to allow the public to track the donation. Ultimately, this could help to put the trust back into many charities across the globe. It would also ensure that the money donated actually goes where it is was intended to go. There are already companies working on projects such as this, for example, the American based BitGive Foundation that is using the technology to track charitable donations. It may be hard to think about how blockchain can disrupt the music industry, but it can, and it is already happening. At the moment, in the majority of cases the music industry is being controlled by a middlemen, a type of central authority that will receive part of what the music artist earns. Some examples of these include music distributors and publishers. Without them, the music professionals would not be able to get their music out there to the general public. The blockchain industry is soon set to change this, and it is looking likely that in the near future the artists will be in full control over their creative content. This means that they will get payment directly from what they produce, rather than getting paid from the middlemen. There is a business in New York named Ujo Music that is trying to tackle this problem, and aims to build a platform that will allow arts to receive direct payments for their music through the use of smart contracts. 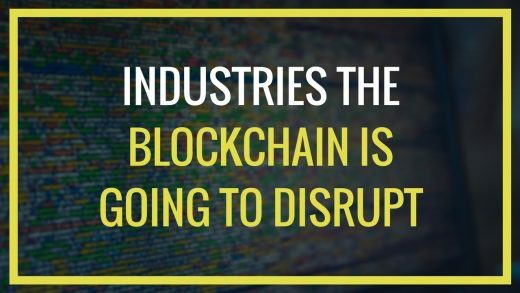 There are many other industries across the globe that are sure to benefit from blockchain technology in the not so distant future, some of which is to be expected, and some which may be a bit of a surprise.